For her M.S. of Ecology, Sharon Reeves did her thesis research on the use of cyanobacteria and algae cultured from biological soil crusts (BSC’s) for restoring disturbed soils. 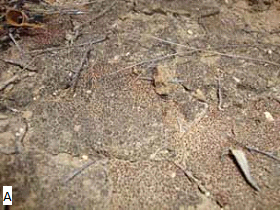 BSC’s naturally occur on the surface of soils in arid and semiarid environments. These crusts are complex communities of cyanobacteria, algae, lichens and mosses. 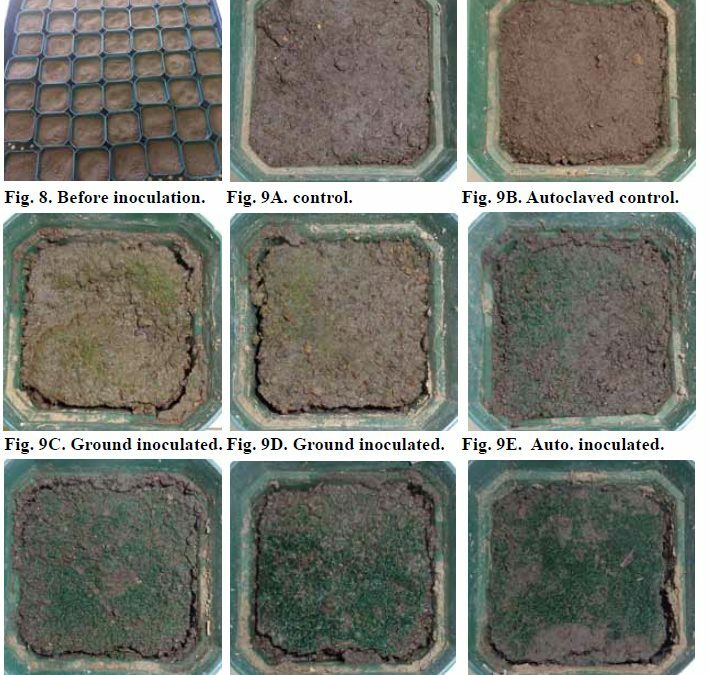 They help stabilize the soil against erosion and can suppress colonization by weeds. BSC’s are often found in open patches between shrubs in undisturbed stands of coastal sage scrub, but when soils in these ecosystems are disturbed, crusts are often replaced by exotic annual weeds. 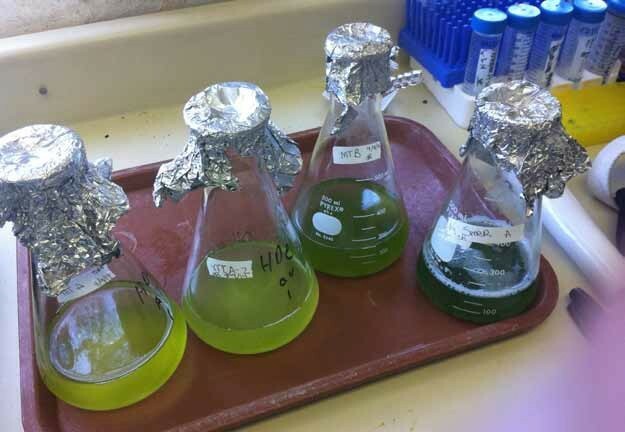 Sharon’s research tested the feasibility of culturing native BSC organisms from MTRP and SMER in the lab for application onto disturbed soils. She found that her cultures grew quickly in disturbed soil and restored important soil factors like cohesion and polysaccharide content. 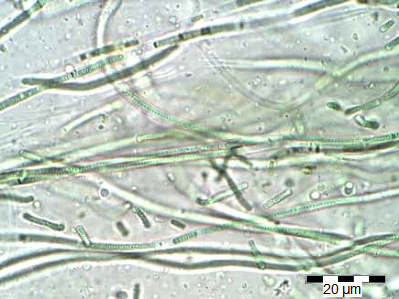 Microscopic view of a cyanobacterial isolate from SMER biological soil crust. DNA sequencing revealed this isolate to be most closely related to the newly described genus Trichotorquatus, first discovered in the Atacama desert of Chile.